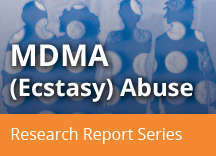 Home » Publications » Research Reports » MDMA (Ecstasy) Abuse » How can MDMA use be prevented? Providing accurate scientific information regarding the effects of MDMA is important for reducing the negative health effects associated with use of this drug. Young adults who use MDMA report that friends, substance use disorder treatment programs, and physicians are their most trusted sources of information about MDMA. Many also report that the internet is an important source of information, suggesting that prevention websites should be designed to be responsive to the needs of this population.120 In addition, the use of peer-led advocacy and drug prevention programs may be a promising approach to reduce MDMA use among adolescents and young adults. 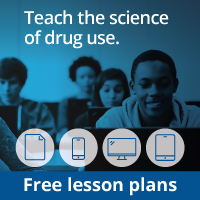 More information on preventing drug use among children and teens can be found in NIDA’s Preventing Drug Use among Children and Adolescents (In Brief).